BRAND SERVICES is a proud recipient of the FM 4991 certification. With this certification, BRAND is held to a higher standard than non-accredited contractors, which include passing annual Factory Mutual audits, mandatory continuing educations and random on site testing. This is a highly-respected industry accreditation and this certification is often made a requirement by architects to assure a building is constructed using a professional firestop contractor. We are the only firestop contractor awarded this certification in CT and one of a few in New England. 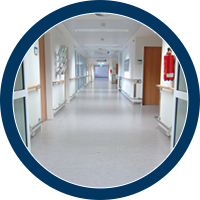 Commercial, Educational, Industrial and Healthcare Facilities are the primary focus of BRAND’s construction services. 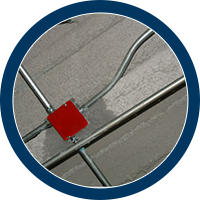 We specialize in installing code required passive Fire Protection systems in support of the construction industry; including, Fireproofing of structural steel and Firestopping of wall penetrations. To improve the company’s efficiency and reduce its overall cost to the customer BRAND offers these services as a bundled all-inclusive package. One contractor, one sole source responsibility, one price… BRAND SERVICES! For a FM 4991 certified fireproofing and firestop contractor in CT, MA, RI, VT, NH, ME, NY, NJ, PA, MD, DC, VA, OH and beyond, call BRAND SERVICES! Our core service area is focused on New England and the Mid-Atlantic Region; however, our work does expand Nation Wide for large volume projects.